AOP 1 – evaluation of sample’s intracellular antioxidant activity by direct measurement of its efficacy concentrations on live cell models. Study on human HepG2 cells. 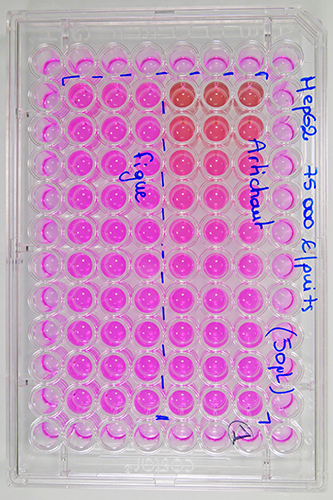 Evaluation of 8 concentrations in serial dilutions of products, extracts, or active principles to be tested. The test method includes two independent experiments, each one comprising 3 end-point measurements (triplicate) for each tested concentration.